Micro Mini 2 Go Deluxe Plus (£124.95) or Mini Micro 3 in 1 Scooter (£109.95)- I've done a full review on both of these scooters (here and here), as well as a comparison (here) if you want to know the difference between the two. Giving a micro scooter as a gift at Christmas may be a slightly more expensive option, but it is a gift that will last until their fifth birthday making it an investment. Isabella has so much fun on the scooters and enjoys them both with and without their seats. 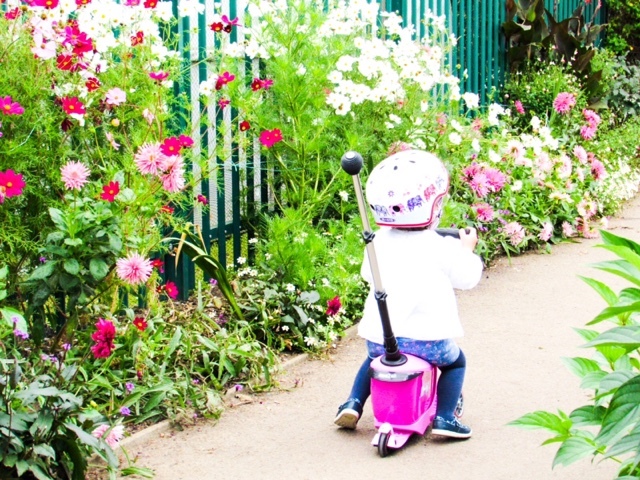 The Micro Mini 2 Go (the pink one in the photos below) has a steering pole and small foot rests, allowing children to be pushed along and it therefore makes a fun alternative to a pushchair. They both have adjustable T-bars, so will quite literally grow with your toddler (and we all know that happens way too fast!). 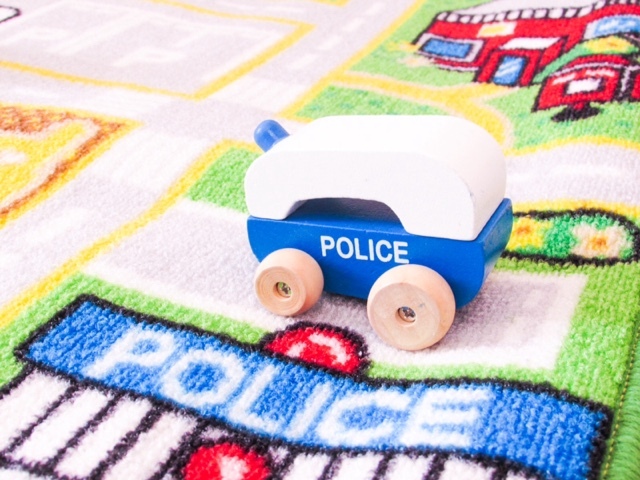 Orange Tree Toys First Emergency Vehicles (£10.99) - When babies first start crawling and then walking they often love pushing things along because it allow them to practice their new found skill (and freedom!). 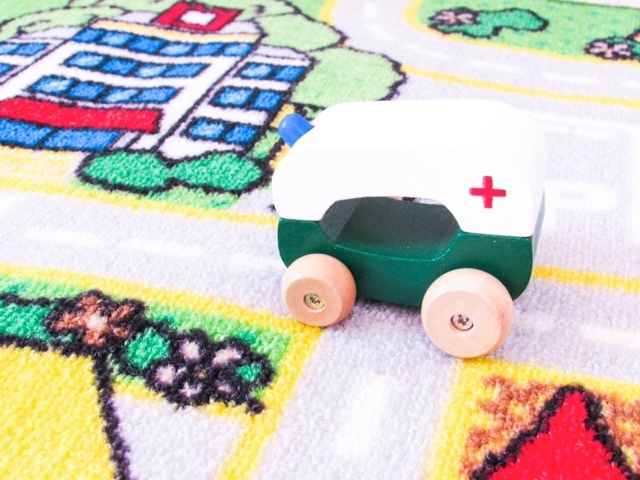 Little cars, buses, trains and tractors are all perfect for this and Orange Tree Toys have a vast range of high quality traditional wooden vehicles. They are chunky, making them easy to hold and race around, while the bright colours are appealing to toddlers. 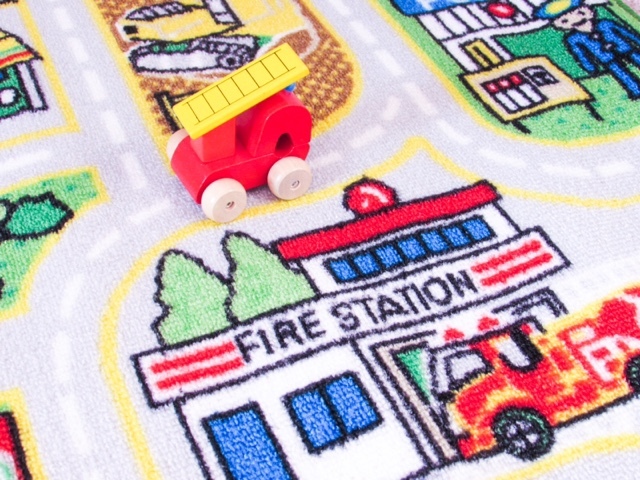 This First Emergency Vehicles set contains an ambulance, fire engine and police car, but there are lots of other sets available including: London vehicles, farm vehicles, racing cars, diggers, cement mixers, dumper trucks, safari trucks and dog grooming vans. 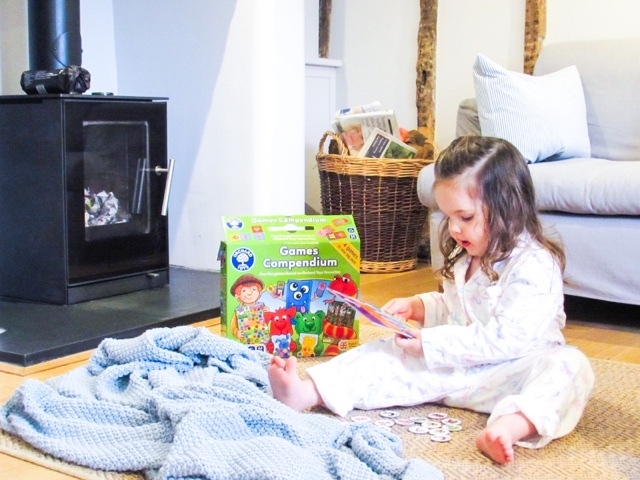 Games Compendium from Orchard Toys (£15.95) - Getting the family together to play a board game can seem like something of the past with so much technology all around us, but it doesn't have to be. 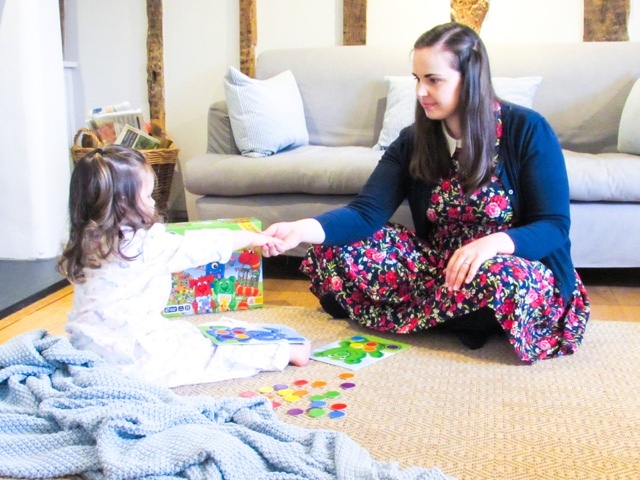 Some of my fondest memories are of family game nights - snacks, a board game and lots of fun! Orchard Toys have an extensive range of both entertaining and educational games for toddlers and children. 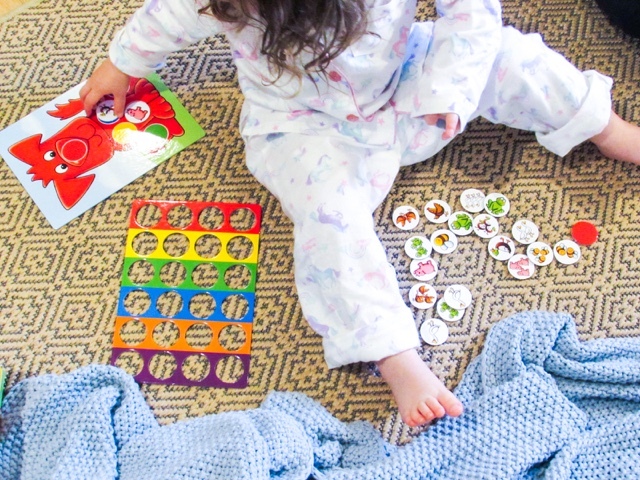 Their new Games Compendium (I've done a full review here) contains four games suitable for ages 3-6 years old: Old Macdonald Game, Monster Dominos, Red Dog Colour Game and Jungle Snakes & Ladders. 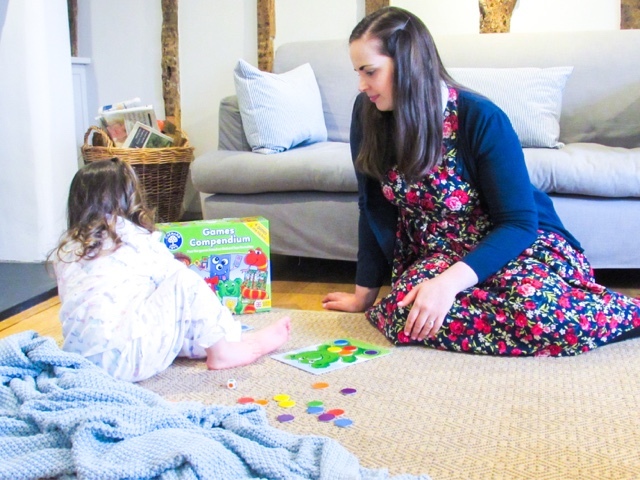 They all support children to learn their colours, shapes and counting skills, whilst having quality 'screen-free' time. 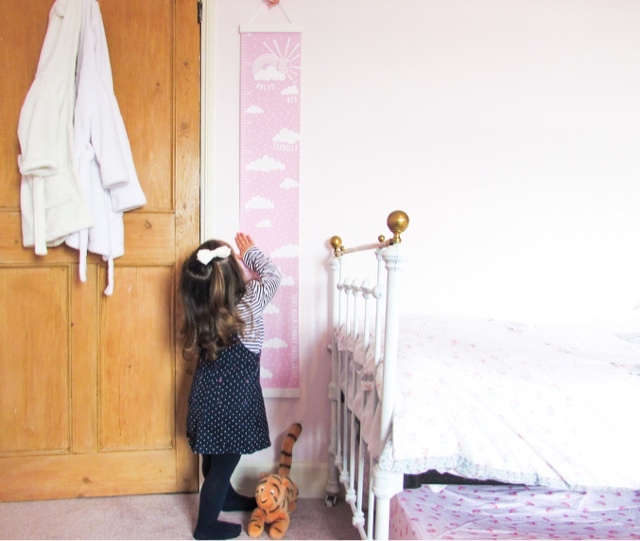 Personalised Dream Big Canvas Height Chart from Pepper Print Shop (£32) - The saying 'growing up too fast' is often used when talking about children because, well, they do. 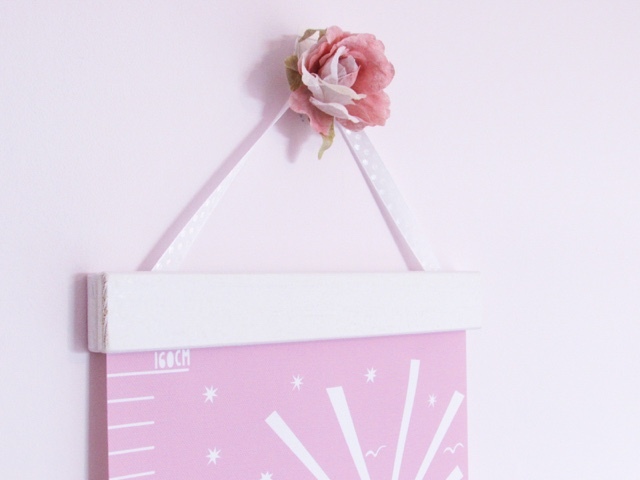 So why not capture it with this stunning height chart? Made from a cotton blend tear-proof canvas it is designed to last and the fact that it can be rolled up means it can be kept forever. 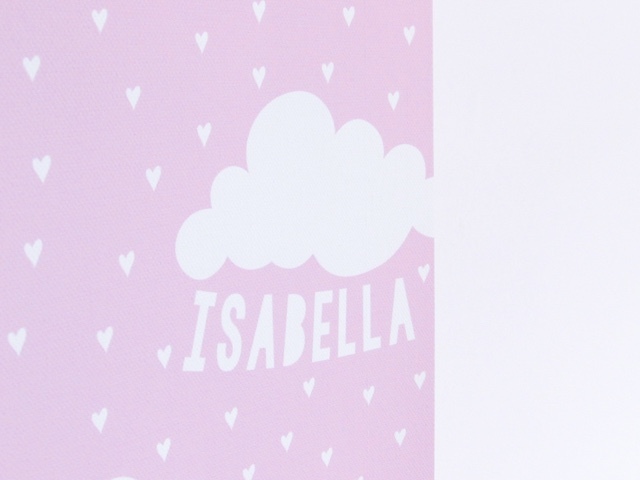 I love the idea of Isabella being able to get this out when she's older and see exactly how tall she was at certain points in her life. She could even choose to use it with her children in many years to come. 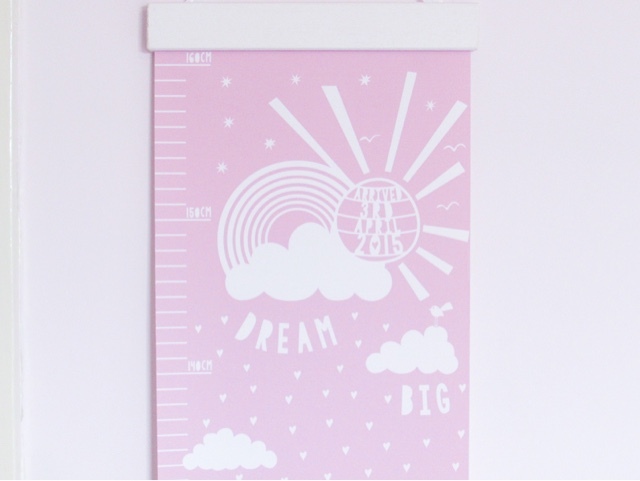 You can have the height chart personalised with your child/ren's name and date of birth and is available in yellow, pink, blue or grey. Pepper Print Shop also have another design based around a princess castle, which you can see here and a range of beautiful personalised prints/engraved wood plaques. 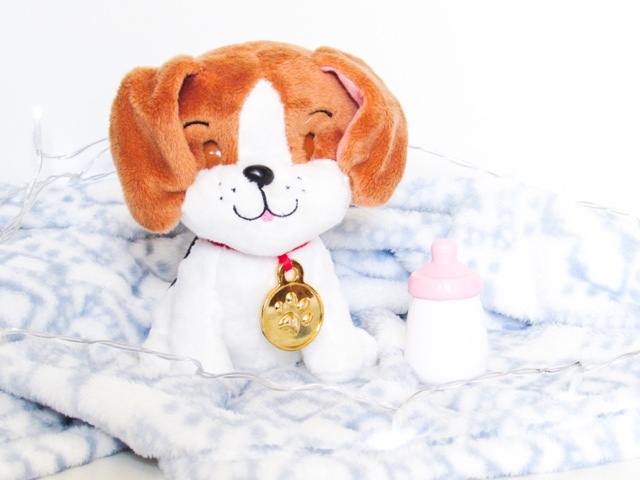 Little Tikes Lil' Pups Just Born Puppy (£19.99) - Lil' Pups is a range of four cuddly stray puppies that are waiting to be adopted by your little ones. 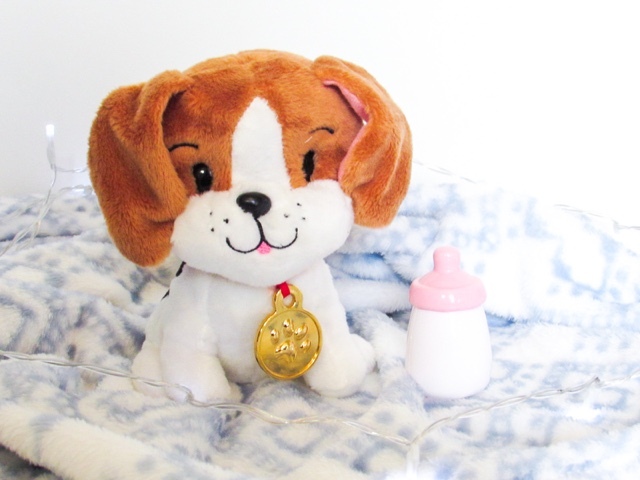 Each Lil' Pup comes with an adoption certificate and milk bottle, which will appeal to children's caring side as they look after their new puppy. When you press down on the puppy's head it wakes up, opens its eyes and starts interacting with its owner. All while burping, barking and snoring its way through the day! 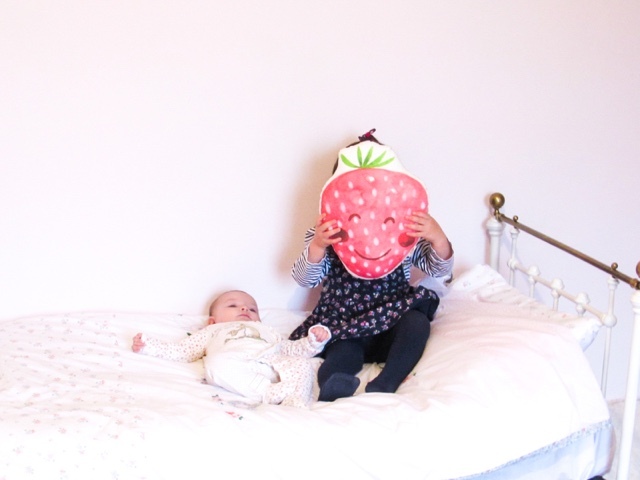 Strawberry Cushion from The Fox in the Attic (£22) - If you're looking for beautifully illustrated home accessories then The Fox in the Attic is the place for you. Their range of cushions, muslin cloths, rattles, tea towels, cards and make-up pouches are simply stunning, with so much talent and attention to detail. The lovely Michelle started making and selling her creations back in 2011, which include fruit, plant and animal based designs. The watercolour illustrations are so unique and there is a lot of personality in each of the characters that children will love. 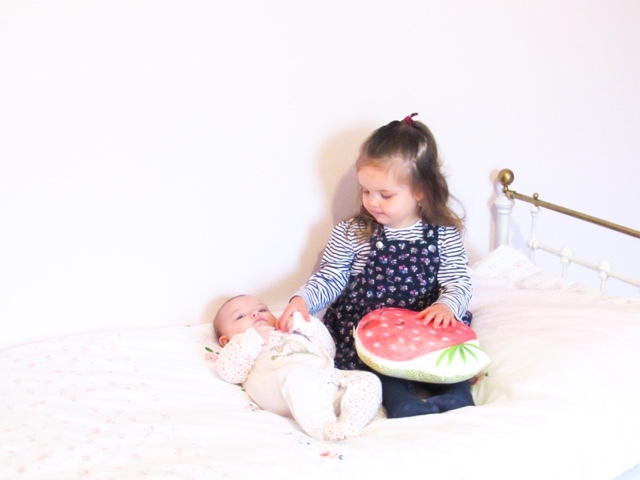 Isabella has loved looking after and playing with their Strawberry Cushion. She talks to it, tucks it up in bed and gives it a cuddle before bedtime, therefore offering a lot more than a comfy place to put your head. Cookie Mix Kit from Cookie Crumbles (£18.99) - Baking with toddlers is a lot of fun and a great way of teaching them about ingredients, hygiene and different flavours. 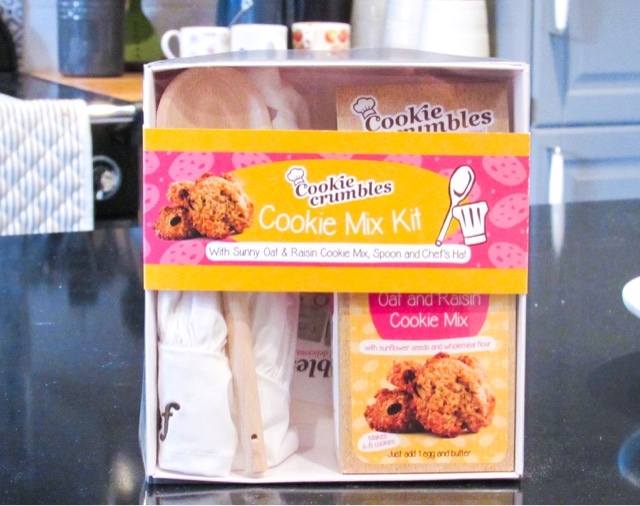 Cookie Crumbles has a tasty range of gift sets and baking mixes perfect for children and adults alike. 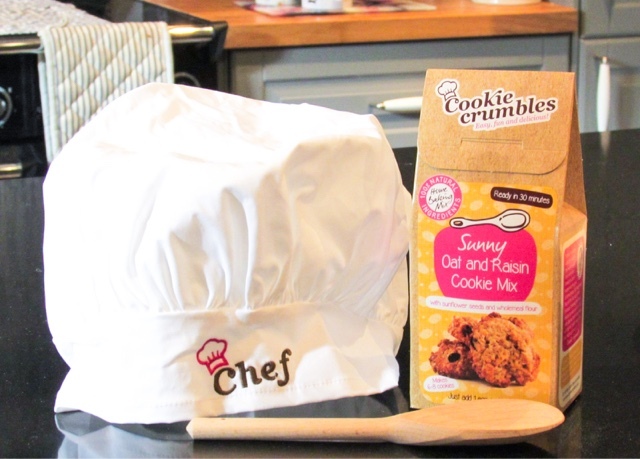 This Cookie Mix Kit contains a 100% cotton adjustable chef's hat (suitable from 2-14 years old), a Sunny Oat and Raisin Cookie Mix and a handy wooden spoon. The addition of the chef's hat in this gift set makes for such a fun way to get toddler's involved and it can always go in the dressing up box too. Isabella loves baking, whilst one of her uncles is a chef, so having a chef's hat to wear only adds to the enjoyment. 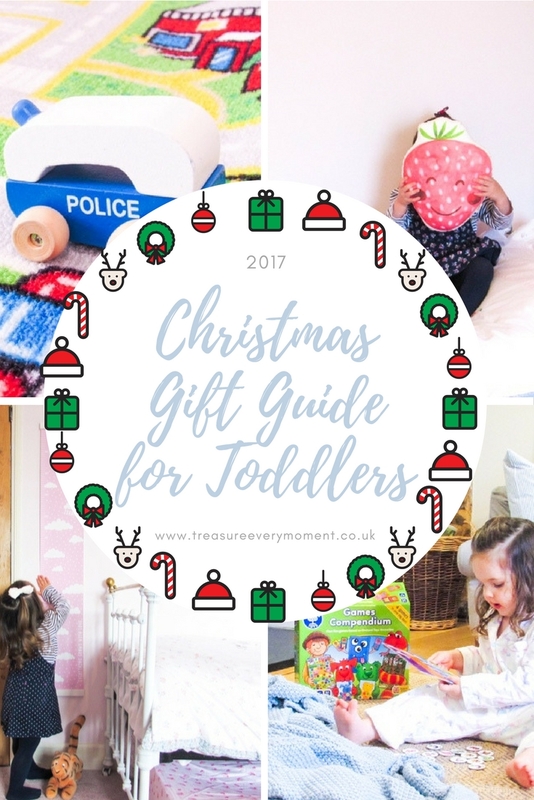 I have also put together a Gift Guide for Babies, Children and Him, if you're in need of more inspiration. What is your favourite gift for toddlers this Christmas? I have linked this post up with Christmas Gift Guide Linky and #TwinklyTuesday. Some fantastic items here. I think i would have to go with the puppy one as being the best present on the list as kids would go mad for something like that at Christmas. I am a huge Orchard games fan and I love that height chart! Some fab ideas here..on a side note I am envious of your beautiful home too!! What a fabulous guide. There a few bits my own toddler would enjoy. 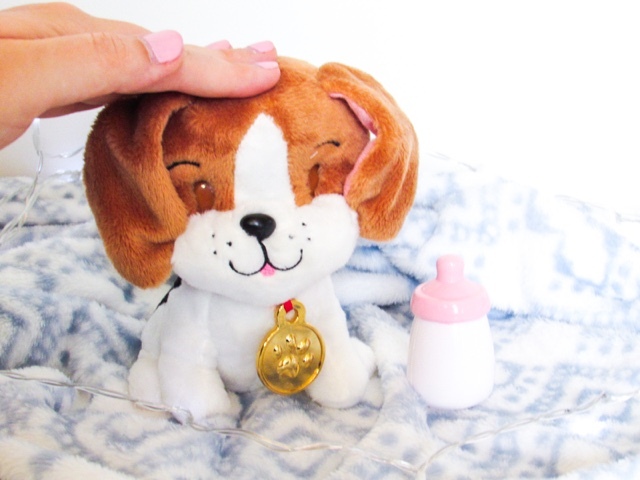 Ah the puppy is such a lovely idea - my daughter would love that! 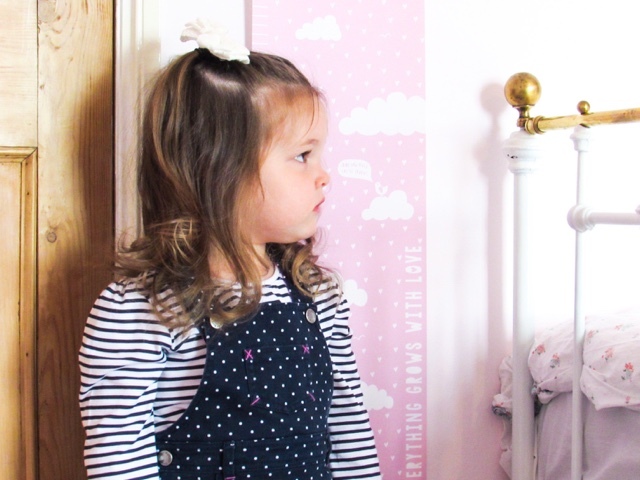 Such a fab pick of gifts for a toddler. The games compendium is also a fab choice. 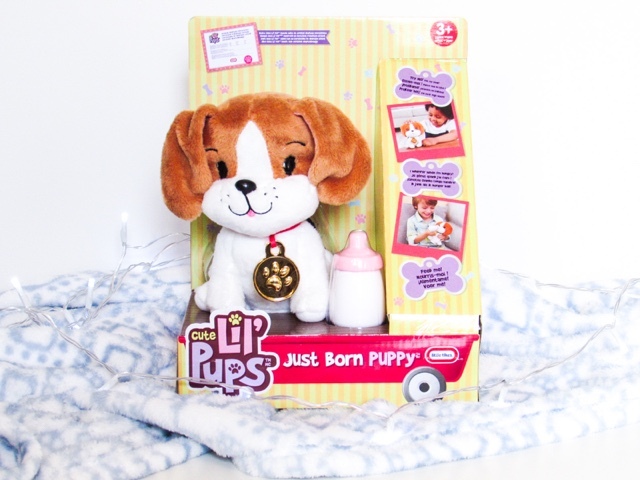 I have to say that the Just Born Puppy has to be my favourite gift idea as its so cute. However the cookie crumble kit comes in at a close second for sure! Love ideas. Both my girls love their micro scooters, they are a great buy and we have so many Orchard games, they are brilliant! What a gorgeous selection of gift ideas. Love the look of that micro scooter and we love orchard toy games we have drawer full of them. What a lovely range of gifts for toddlers. I have to say I do love the Wooden Emergency vehicles. The compendium would be great for the whole family to enjoy! Ahh what a fab gift guide! 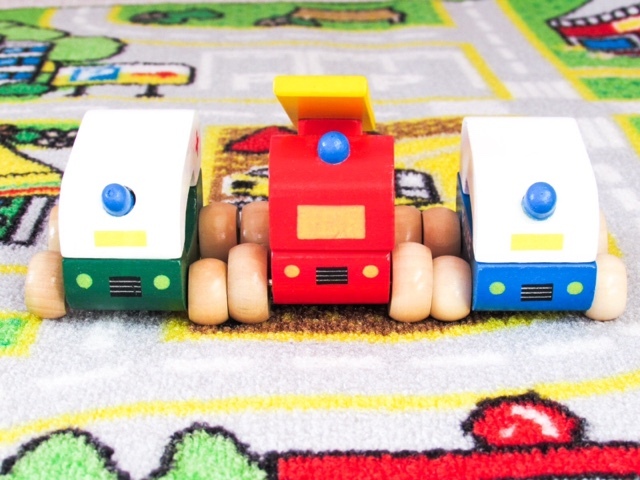 I love the wooden toys, we are big fans of more traditional gifts! Too cute! I love these ideas, I've a few toddlers in my life that some of these gifts would be perfect for. Amazing ideas! Definitely some inspiration for what I can get Edith. She would adore the dog! Lovely range of items, we always loved the Orchard Games sets. Perfect games for kids to play with. Such a great selection! 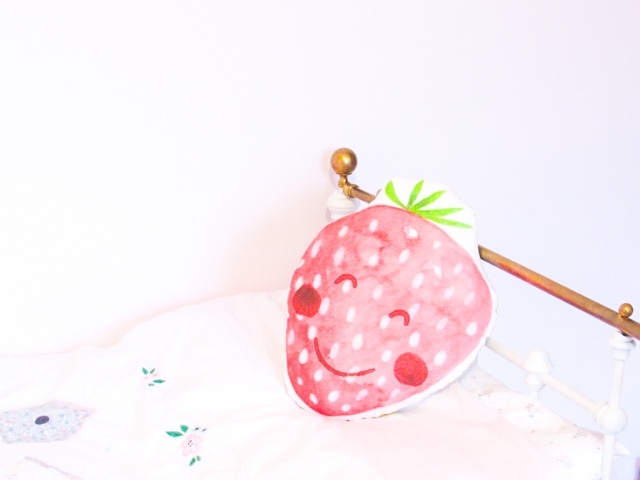 I think the strawberry cushion is my favourite. This is such a great list. We have some Orange Tree Toys first cars and they are great. 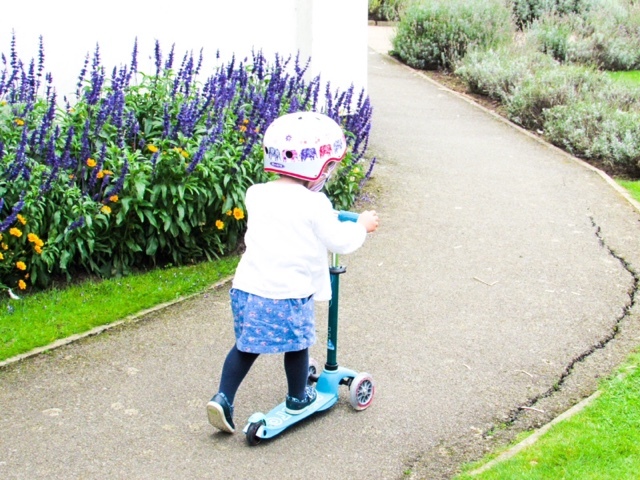 We also have a scooter, although it is a bit bigger and the boys love playing on it in the garden.